So clearly I'm on a chalk paint bender. I might need rehab. We bought this little buffet through a family friend's estate for not much money - probably less than $50. 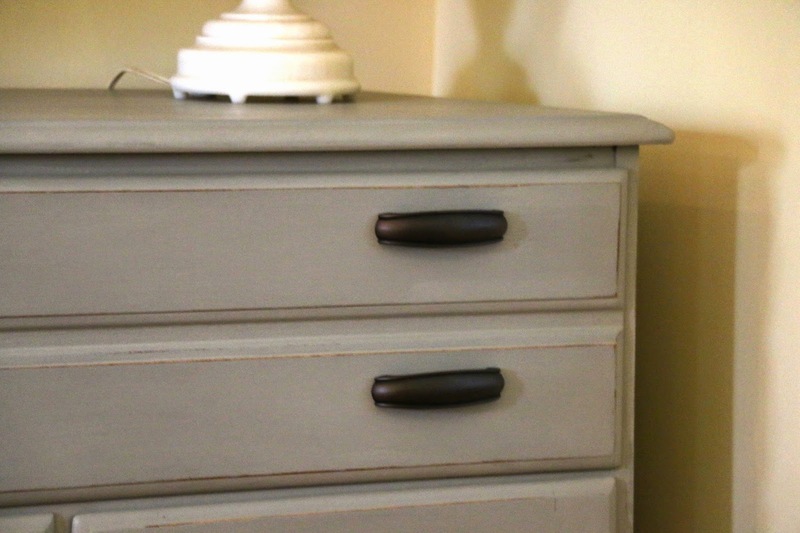 I had already done my initial chalk paint experience on a silver chest and I loved the results. 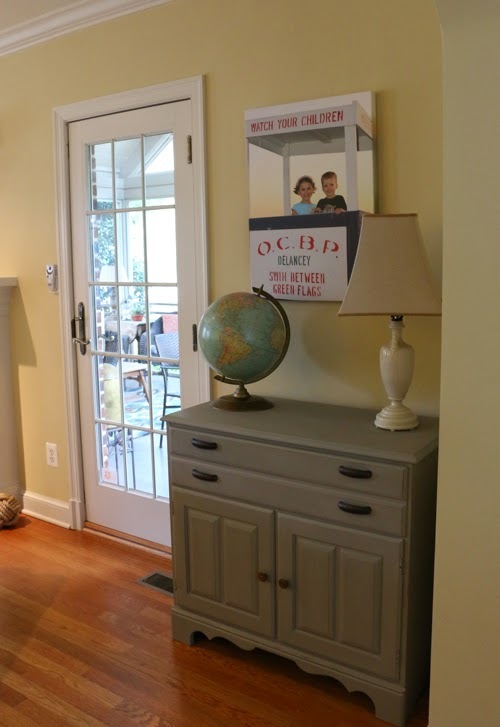 This piece sits in the back corner of our living room and holds all of the kids' craft supplies. I'm not sure it's a piece we'll keep forever but for now, it does the job well. I'm just not in love with its '60s country-ish style. And let's just ignore the missing screw on the handle. I broke out the chalk paint that I bought last spring at the Old Luckett's Store near Leesburg, Va. If you have never been, you SHOULD GO. It's so much fun!! I want to go back again when I have furniture I need instead of being in furniture unloading mode. Anyway, they sell Amy Howard One Step Paint which is a type of chalk paint. I didn't really notice any difference between Annie Sloan's and this but this is a much bigger piece. The coverage was very good and I did not sand before I painted. 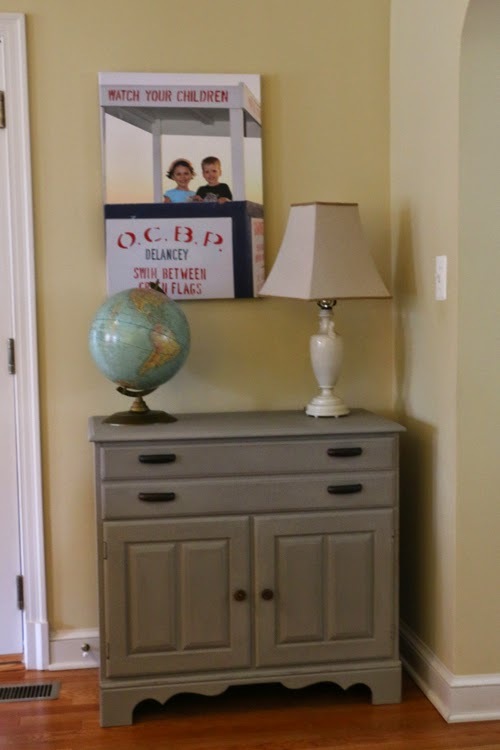 I originally left the top stained but I decided it only emphasized its country look so I went back and painted the rest (months later!). I distressed the whole thing just a little bit with a piece of sandpaper, and then waxed it with basic furniture wax (nothing fancy). I replaced the handles with these because they are simple and easy to grab. The kids are still using this cabinet for paper and crafts. So that's how chalk paint is continuing to rule my house. I am still debating painting the dining room furniture. I have some interim pieces to remake before I tackle the dining room!